STAR WARS AFICIONADO WEBSITE: DELETED SCENE: ECHO BASE, ARE YOU THERE!? DELETED SCENE: ECHO BASE, ARE YOU THERE!? 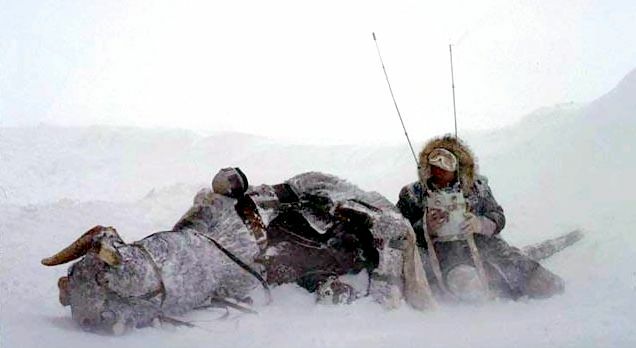 With his faithful Tauntaun down, and the injured Luke soon within its warm belly, Han Solo struggles one more time against the weather to contact the Rebel base, but to no avail, in a rehearsal/deleted scene moment filmed in Norway, from THE EMPIRE STRIKES BACK. 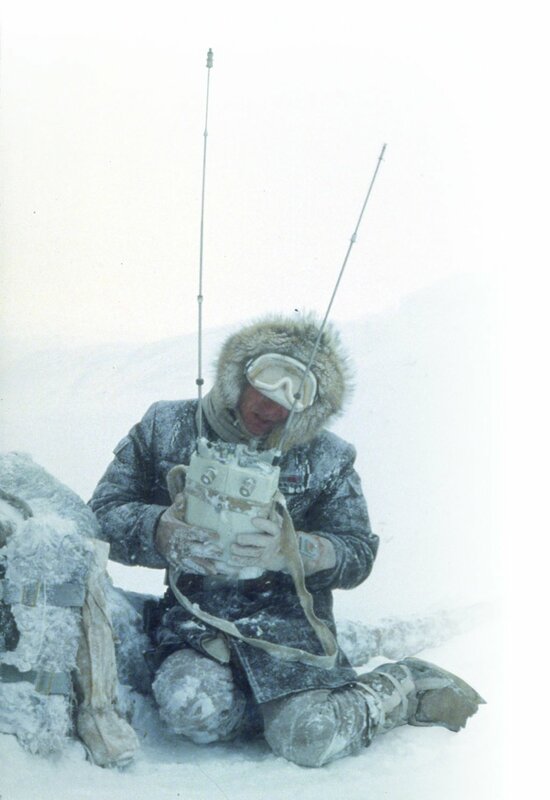 Watch carefully the most recent Blu-ray version of the movie, and you'll see that, after putting Luke inside the Tauntaun belly, Han walks around the dead beast and reaches for the communications/scanner pack, before the shot goes to a wide angle and shows our Corellian then beginning to put the shelter up as the weather worsens. ILM CLASSIC IMAGE: KIT-PART WONDER MAKERS! CLASSIC ART: A FIGHT TO THE DEATH! THE 'SITH' AT TEN: ON THE PRECIPICE! EPISODE VII: "THE DARK SIDE... AND THE LIGHT!" EPISODE VII: 'EMPIRE' MAGAZINE RETURNS! CLASSIC IMAGE: NO SECOND CHANCES! CLASSIC IMAGE: THE BOY WHO WOULD BE VADER! AN 'EMPIRE' AT 35: BARKING UP THE WRONG WOOKIEE! CLASSIC INDY: THE BIG SQUEEZE! BEHIND THE SCENES: "THAT'S NO BATTLE, HOT SHOT!" THE CLONE WARS: WHO'S WATCHING THE WATCHERS? THE 'SITH' AT TEN: CORRUPTED CAPTAIN! CLASSIC IMAGE: STRENGTH AND FIREPOWER! PARTY-TIME FOR 'THE STAR WARS HOLIDAY SPECIAL'! CLASSIC IMAGE: COMRADES ON THE FRONT LINE! BEHIND THE SCENES: THE ALTERNATE 'DESERT RATS'!